Greece’s National Intelligence Service said Tuesday that it was at “a heightened state of vigilance” for suspected militants, keeping close tabs on radical Muslims, and had detected at least six foreign fighters with the terrorist group Islamic State transiting through the country in recent months. The surveillance operation comes amid concern that the militant group, formerly known as Islamic State of Iraq and Syria, or ISIS, will retaliate for increased U.S airstrikes in Iraq and possible strikes in Syria. 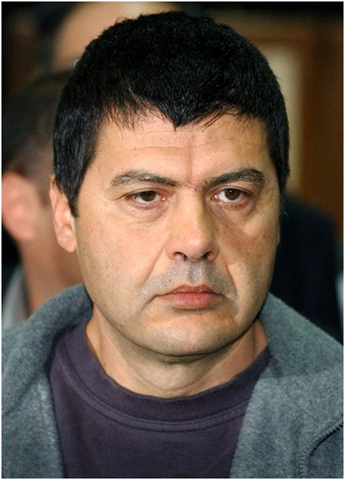 ATHENS, Greece – A Greek fugitive who vanished on furlough from prison while serving six life sentences for being in a deadly terrorist organization has vowed a return to armed action. June 9, 2012: Turkey announced that it will give the Tunisian government $100 million. The money is for economic and social development projects but will probably be spent very quickly since Tunisia is experiencing a severe economic crunch. Turkey will also loan Tunisia $400 million at a low interest rate. Tunisia’s Ennadha Party is a moderate Islamist party which models its political program on Turkey’s ruling Justice and Development Party (AKP). Several Tunisian politicians are warning that the country could face another political explosion unless it can revive the stalled economy and put people back to work. The AKP has told the Tunisian government that it strongly favors a secular democracy and that Turkey will try to help the Tunisian people manage the transition from dictatorship to democracy. At the moment that means providing economic aid. 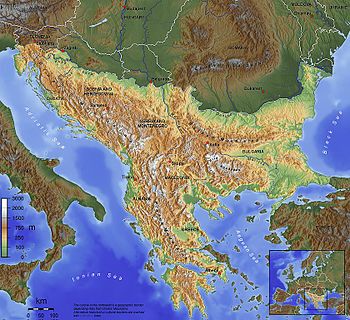 June 8, 2012: Maps stir passions in the Balkans. Bulgaria’s foreign minister and Turkey’s Bulgarian ambassador met to discuss a map that appeared with educational materials published for schools in Istanbul three years ago. The map showed a Greater Turkey of a sort, with parts of Bulgaria (including Sofia) and Greece’s Thessalonica (Salonika) included as Turkish territory. All of Armenia, part of northern Iraq, and part of Georgia were also labeled as Turkish territory. Cyprus was also included as Turkish territory. The government of Turkey has assured Bulgaria that it does not have any territorial claims on any neighboring nations. Turkey has disavowed the map and said the maps, which appeared on a compact disk, were withdrawn from the schools when they were discovered and publicized. Greece acknowledged that it now faces an energy crisis because it cannot pay its electricity, gas, and oil bills. The government and Greek energy corporations are looking for up to $400 million in emergency bridge loans in order to avoid power cuts during the summer tourist season. Though overall demand for energy has been declining, due to the economic crisis, Greece imports most of its power, including electrical power. Tourism is a major industry in Greece and despite numerous travel and tourist bargains, tourists have been reluctant to visit Greece because of the riots and other social turmoil accompanying the economic crisis. 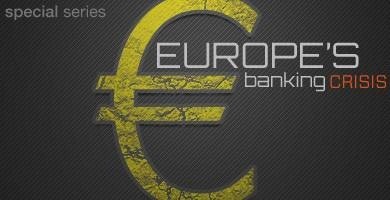 Editor’s Note: This is the first installment in a two-part series on the European banking crisis. Europe faces a banking crisis it has not wanted to admit even exists. The formal authority on financial stability, International Monetary Fund (IMF) chief Christine Lagarde, made her institution’s opinion on European banking known back in August when she prompted the European Union to engage in an immediate 200 billion-euro bank recapitalization effort. 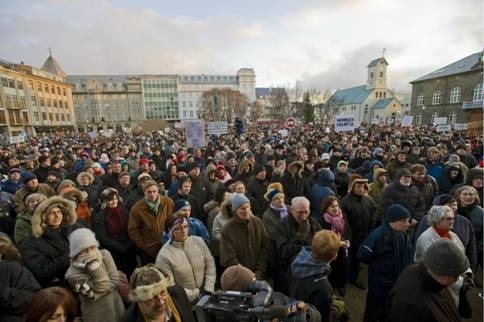 The response was broad-based derision from Europeans at the local, national and EU bureaucratic levels. The vehemence directed at Lagarde was particularly notable as Lagarde is certainly in a position to know what she was talking about: Until July 5, her title was not IMF chief, but French finance minister. She has seen the books, and the books are bad. Due to European inaction, the IMF on Oct. 18 raised its estimate for recapitalization needs from 200 billion euros to 300 billion euros ($274 billion to $410 billion). The collapse in early October of Franco-Belgian bank Dexia, a large Northern European institution whose demise necessitated a state rescue, shattered European confidence. Now, Europeans are discussing their banking sector. A meeting of eurozone ministers Oct. 21 is largely dedicated to the topic, as is the Oct. 23 summit of EU heads of government. Yet European governments continue to consider the banking sector largely only within the context of the ongoing sovereign debt crisis. Europe’s Economic Meltdown: How Did We Get Here? A look back at the missteps and bailouts, in pictures. On Thursday, July 21, European leaders will meet in Brussels for the latest attempt at quelling the continent’s worsening financial crisis. Unfortunately, what a year ago looked like a localized problem affecting a tiny share of the European Union economy has become a ubiquitous and omnipresent threat. Having tried austerity and monetary stimulus, chastisement and feigned confidence, European leaders are quickly approaching the end of their playbooks. And with Italy, one of the world’s largest economies, now teetering on the brink, it’s not at all clear this story will have a happy ending. Above, at the Sodoma bar in central Reykjavik on April 25, 2009, a man relieves himself in a urinal plastered with photographs of Icelandic bankers who fled the country after the financial crash. “Kosova’s” independence is driven, mainly, by an unusual American hatred toward Serbia and the obvious intent to deliver another stab at Russia, the only major power that has stood by Serbia’s side against secession. In the background, EU powers wring their hands, as usual, and follow the US lead uncritically and mostly blindly. Memory is short in this continent. Few remember that Germany’s precipitous move to recognize the secession of Slovenia and Croatia from the then Yugoslavia in the early 1990s essentially put into motion the events which led to the bloodiest war on European soil since the end of WWII and the disintegration of Yugoslavia. Greece, inept, confused, and in a stupor, is watching the avalanche without too much interest. “Kosova” independence though should have sent this country’s government agencies and security authorities into battle stations. We tend to forget, for example, that our easternmost provinces near Turkey are populated by Muslims, most of whom claim Turkish ethnicity. We also tend to forget that this minority has never stopped its collusion with Turkish diplomats who are, in reality, active intelligence operatives charged with missions that in another country would have triggered their expulsion and a round of arrests among their local confederates. 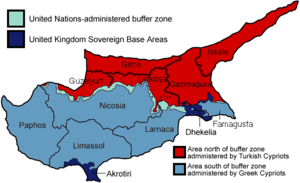 Furthermore, Greece is already the target of various Albanian irredentists demanding, in effect, most of northwestern Greece as an Albanian possession. Are we all that distant from a “Turkish Republic of Western Thrace” or a revived “Tsamouria?”“Kosova’s” secession won’t go without its ripples. Serbia has already announced it will never recognize this new “state” and will implement a plan to counter it. Russia is standing ready in the background. The US and Europe will rush to offer the rump diplomatic recognition. I wonder though who’s going to deal with the violence that may emerge immediately. Is NATO to send its bombers again to drop a few on Serbia? Greece, of course, will recognize “Kosova” but imagine what would happen if this country displayed some backbone and said “No.” Would we have NATO bombers visiting us over Athens? The way the “alliance” is acting and the way the agenda of the “humanitarian bombers” is taking precedence over all others, the prospect would not be entirely unlikely.